With more people asking themselves the question “Can you use an electric smoker indoors?” we’re starting to see a rise in the number of electric smokers with different features and sizes. Electric smokers are especially great for beginners as they often come with a selection of pre-tuned settings, allowing for quick and smooth smoking. 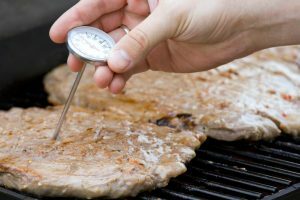 However, while we love the idea of bringing this type of cooking into the kitchen, there are a few significant concerns that you’ll need to consider and evaluate for yourself before using an electric smoker indoors. 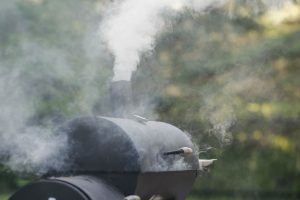 Throughout this article, we’ll take a look at some of the potential dangers associated with using an electric smoker indoors as well as the best standard practices and general precautions you should take while using a smoker. Can You Use Electric Smoker Indoors? With the introduction of electric smokers, a lot have assumed that they can be used indoors since they no longer require the use of wood or charcoal. The truth is that these electric smokers still share many of the same risks associated with more conventional charcoal or propane smokers. They can perhaps be even more dangerous as people often forget that these units are incredibly hot due to the lack of fuel. Hence, the straightforward answer would be “No, they are not recommended to be used indoors.” To give a clearer reason, let’s look at the dangers of using electric smokers inside the house. Even when fuels, which are typically considered when you think of fire, is removed in the equation, electric smokers still pose this risk. This is due to the current being passed through the heating element that can reach such a high temperature. Thus, it can easily cause other objects to catch alight. 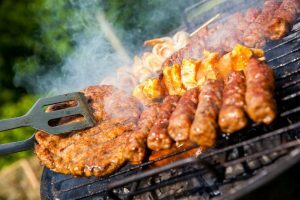 We understand that the fire produced by this element is contained within the unit itself, but when operating a relatively large cooking device with open flames at any point, it’s best not to have it indoors. Possibly the main reason not to use a smoker indoors or in an enclosed space is the fact that you are purposely producing large quantities of smoke which contains carbon monoxide. For those unaware of how dangerous carbon monoxide poisoning is, it can be a cause of long-term respiratory issues, general health problems, brain damage, and death. Even a well-ventilated room would not be able to completely clear the amount of smoke produced by an average electric smoker. With numerous toxins found in the smoke being lighter than air, they are easily spread across a wide area in a short period of time. It’s important not only to consider your health but also of those around you as it would most likely be tough for them to easily avoid the plume of smoke generated. Leading on from both carbon monoxide poisoning and general health, it’s essential that you are aware of the high level of carcinogenic components that are found in the smoke. Prolonged exposure will undoubtedly increase the likelihood of developing cancer. The best way to prevent this is to take as many precautions as possible, including operating in an open-air environment for maximum dispersal. Don’t let the lack of a more obvious fuel source fool you as electric smokers still produce an incredible amount of heat that could easily burn the user during operation of the unit. 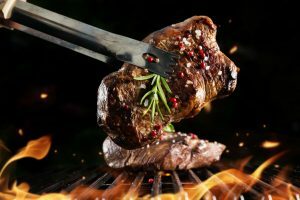 This leads on to how the smoker must be overseen at all times to prevent any children or animals unknowingly coming into contact with the smoker and injuring themselves. 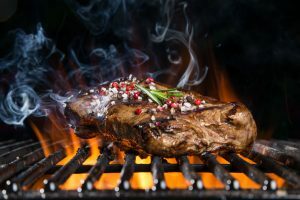 When kicking out such high volumes of smoke as well as the meat, vegetable, or any product being cooked, you’ll notice that not only are your clothes or the room you’re in begins to smell but also the entire building. This unpleasant build up will quickly become noticeable. This means that the smoke is really hard to contain and requires open space. 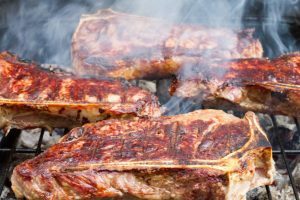 Now that you have a better understanding of why using an electric smoker indoors may not be the best idea, we’ve decided to list some fundamental precautions you should follow in order to produce the safest cooking environment possible. 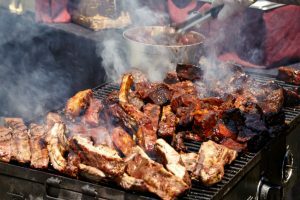 Make sure that when it comes to smoking the meat, you don’t use makeshift containers such as steel cans. Even when these temporary objects are thoroughly cleaned, when a high level of heat is applied, all the chemicals used throughout the manufacturing process will contaminate whatever is in the container. That is why it’s always best to buy professional containers where you can safely smoke your meat. 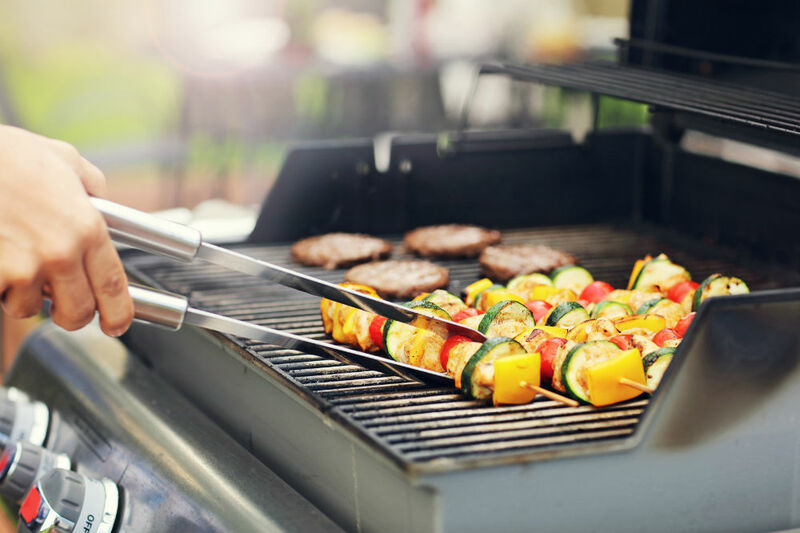 You want to keep your smoker away from other objects for a variety of reasons such as maximizing your ventilation and limiting the proximity of any possibly flammable agents. This will also provide you with a clear workspace where you can prepare the meat before it goes into the smoker. Not uniquely aimed at smoking but rather general handling of food, it’s important to make sure the possibility of food contamination is kept to a minimum. 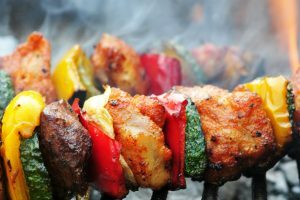 This will involve the basics such as keeping poultry away from red meat as well as raw meat away from cooked meat. Hence, it is best to smoke them separately. We can 100% appreciate the appeal of having a nice cold beer or glass of wine while smoking a ton of meat but this only invites problems and could put you in harm’s way. 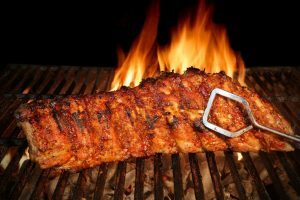 Thus, when using a smoker, it’s best to keep a clear head and wait until the meat is fully cooked so that you can properly sit down and enjoy a drink with your meal. So, the answer to the question “Can you use electric smoker indoors?” is a no because there are so many potential immediate as well as long-term dangers that are posed to not only yourself but also those around you. If you still want to invest in an electric smoking unit, we advise that you only operate outside or in a separate, fully-ventilated outhouse wherein natural air still flows freely. That will help promote the overall level of safety as well as giving you your own little getaway. Just remember, whenever you operate a smoking unit, preparedness can help reduce the risk of anything going wrong during the cooking process.